In today’s rumor rundown, the Montreal Canadiens are playing let’s make a deal, the Canucks are not taking any shortcuts and staying status quo on the management side of things, the New York Rangers aren’t worried about Kevin Shattenkirk and one NHL insider believes Jacob Trouba might be traded next summer. 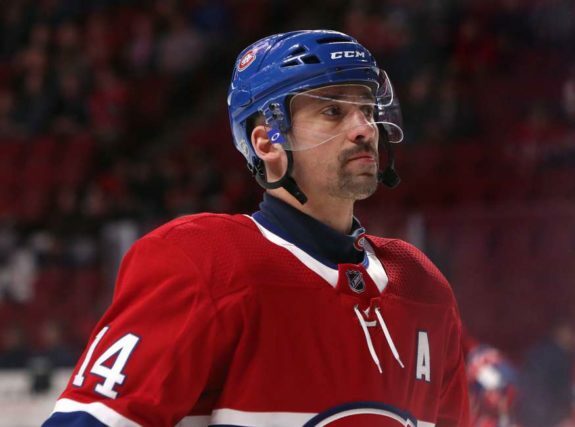 McKenzie said, “Marc Bergevin has let his 31 general manager colleagues know that he is available for business in terms of potentially trading a forward.” Explaining that Nikita Scherbak and Tomas Plekanec have been healthy scratches and Nick Deslauriers and Jacob de la Rose are expected to come back from injuries, the Canadiens could have 16 healthy forwards. The idea here is that Bergevin is trying to make a move before sending someone down on waivers before potentially losing a forward for nothing. 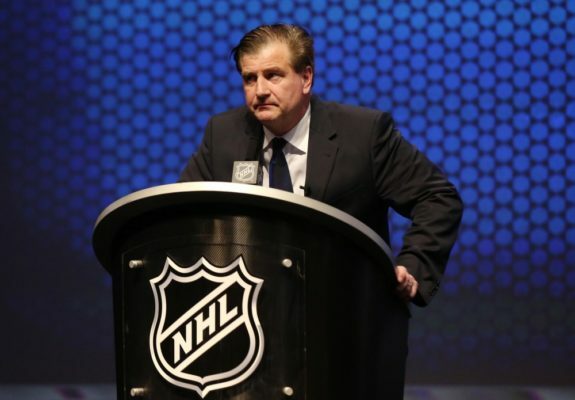 Among other organizational questions, when asked if he’d stepped in or blocked any trades of any kind, Aquilini said, “Not true, absolutely not true. I have never blocked a trade ever. People make that up, all crap.” He did admit he didn’t love the move to cut Sam Gagner but said if the management and coaching staff believed there were guys more deserving, “you have to go with it.” He said his role as the owner is to put people in positions as managers, let them do their jobs and support them. 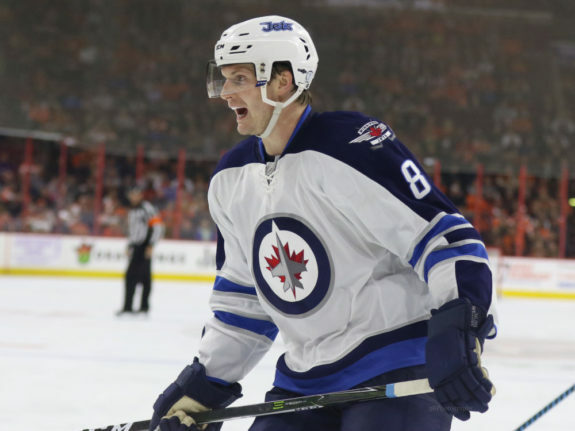 During one of Bob McKenzie’s recent ‘Bobcast’ shows, he discussed the potential plan for Winnipeg Jets defenseman Jacob Trouba. A restricted free agent again at the end of the season, McKenzie believes the time to trade Trouba is next summer. McKenzie notes the history of tough negotiations between the Jets and Trouba’s camp and said, “unless somebody can negotiate a long-term deal with him, the Jets’ price – what it would cost to acquire Trouba, the Jets’ take on that half of it – might not be as much as some people would like, given the fact that he’s a top-pairing defenseman on that team.”. Basically, he’s suggesting the Jets would ask for a lot and the team trading for him would have to take on the role of then signing Trouba to a long-term extension or giving up a ton of assets for a rental. Because the Jets will have to worry about pending restricted free agents Patrik Laine and Kyle Connor, McKenzie suggests, “So yeah, this off-season is the time to fish or cut bait with Trouba and the Winnipeg Jets.”. If he’s not going to sign long-term, the Jets might as well move him. Defenseman Alexei Emelin made his way to the KHL this summer, signing with Avangard Omsk. He’s played 14 games there this season and recently he told Igor Eronko of Sport-Express that he did receive a contract offer from an NHL before he decided to make the move. The Washington Capitals apparently offered him a contract, but he rejected it because it was only for one season and he was looking for something more. 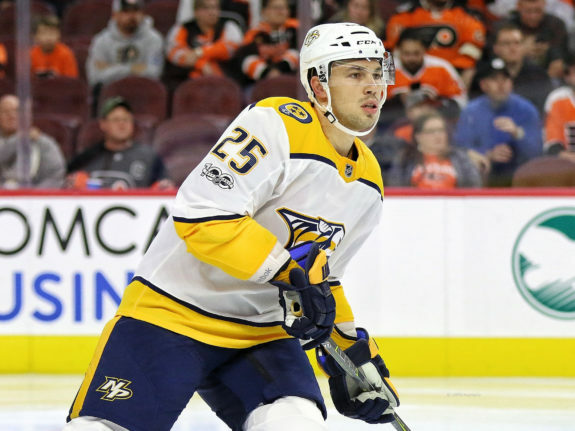 A serviceable d-man with the Nashville Predators last season, he played in 76 games for the organization in 2017-18. It was a bit surprising when he wasn’t signed by an NHL club. While the news of Kevin Shattenkirk being benched by the New York Rangers might look troubling for the team, there is little concern in New York where the Rangers feel his sitting out a game was more about mentally giving him a chance to recharge. “I think I need to get the urgency back in my game a little bit. I think it’s a little too slow right now for me,” Shattenkirk said. “At the puck, just being a little harder to play against in our D-zone, one-on-ones, just making my decisions quicker. Shattenkirk knew the “timeout” was coming. From a team perspective, head coach David Quinn didn’t expect Shattenkirk to be at 100 percent to begin the season, so this is all part of the recovery process. The veteran defenseman is coming right back into the lineup in Saturday’s game against the Edmonton Oilers.